There are numerous weight reduction pills on the market. Some of them work successfully whilst others fall well short of the claims they make. There are however a number of natural hunger suppressants that are available that will help you to control your appetite. Here are a few suggestions that I have found that may be of interest to you! The importance of fibre in your diet! To lose weight, you have to eat fewer calories than your body is used to consuming. Fewer calories means more hunger, right? Fortunately, you can take an effective “appetite suppressant” to control your hunger while strengthening your willpower. What is this great hunger halter? Fiber! Although fiber is not technically an appetite suppressant in the traditional since, soluble and insoluble fiber adds bulk to your food without adding calories, so you will feel fuller on fewer calories. Fiber is not digested, so it contributes zero calories to your food. You can still eat your favorite foods, just eat less of your favorites along with a side of a fiber-rich food. You will be surprised at just how full you will feel. Substitute your pastas, rice, and breads with whole wheat pasta, brown rice and whole wheat bread to add fiber to your favorite dishes. Many restaurants even have the whole wheat and brown rice alternatives. All you have to do is ask. According to a review published in Nutrients, 2010, although more research is needed, studies suggest that fiber, especially insoluble fiber, may even decrease the amount of calories absorbed. In other words, adding fiber may essentially subtract a few of the calories you consumed in your day. Water is perhaps the cheapest appetite suppressant in the world. Drinking more than the recommended eight glasses a day is actually very effective in curbing hunger pangs. At the first sign of hunger, it is advisable to drink water to suppress the appetite. A glass of water (the equivalent of 8 oz.) Before each meal helps to reduce food intake. However, if you are prone to or have gastric hyperacidity, drinking water to curb your appetite is better for the first two episodes of hunger pangs. If hunger persists, it is better to eat a cracker or two with water to prevent the symptoms of bloating, flatulence and acidity in the stomach. 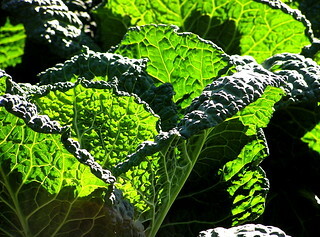 Green leafy vegetables such as cabbage, lettuce, spinach and bok choy are healthy appetite suppressants. Preferably taken as a salad with only 100 calories of added seasoning to taste, green leafy vegetables suppress appetite by filling the stomach and, therefore, turn off hunger signals to the brain. They also have the advantage of being negative calorie foods, in the sense that it takes a lot of calories to digest, yet these foods give off only a few calories to the body’s energy reserves. The best pickles for appetite suppression are natural organic pickles that can be purchased in health food stores or can be prepared at home using small cucumbers. A jar of pickles organic contains less than 100 calories in all. .
You do not have to rely on weight reduction pills to help you to lose weight. Try the natural alternatives first. I genuinely like your writing style, http://www.pandorajewelryshop.com. amazing data, thankyou for posting : D.
Hello there, I found your site by the use of Google at the same time as looking for a comparable subject, your site came up, it appears good. I have added to favourites|added to my bookmarks.